M summons James Bond into his office and delivers a stern lecture. It seems that Bond’s last physical exam was a disappointing one – not surprising when the man drinks excessively and smokes up to sixty cigarettes a day. So M decides that Bond has got to look after his health more. And he sends him off to the Shrublands health clinic to regain his strength, get off the alcohol and cigarettes, and get back on the track to good health! You see, Count Lippe is actually a member of SPECTRE (Special Executive for Counter-intelligence, Terrorism, Revenge and Extortion). Led by Ernst Stavro Blofeld, SPECTRE hijacks a plane carrying two nuclear bombs and sends a letter to the Prime Minister and to the President. They are holding the two bombs at ransom for £100 million. If the money is not paid in time, SPECTRE will destroy a valuable piece of property. If, after that, the money is still not paid, a major city will be annihilated. And so the Brits and Americans team up on a worldwide search for the missiles, terming it Operation Thunderball. But M has a few hunches about the hijacking, and sends Bond to the Bahamas to investigate any potential leads. There, Bond meets Dominetta “Domino” Vitali, the current mistress of Emilio Largo… who just happens to be the man in charge of Plan Omega. 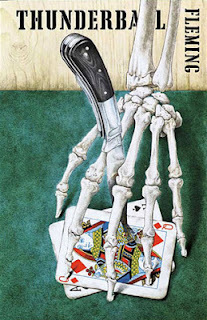 All this happens in Ian Fleming’s Thunderball. But perhaps Fleming thought it would be okay? After all, Dr. No used elements that Fleming had pitched for a TV show to be called Commander Jamaica, starring James Gunn in his battles against the sinister Dr. No. For Your Eyes Only was composed of recycled material from another proposed television series. After two such books, I can’t blame Fleming for taking the material he’d collaborated with on Thunderball and writing a book around it. After all, it’s one hell of a story and the movie seemed like it was getting nowhere. 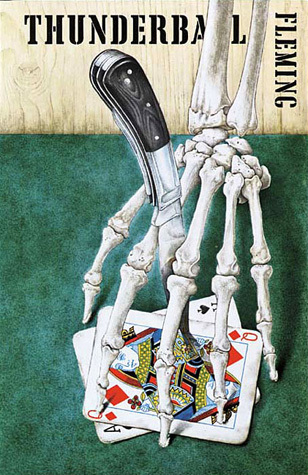 After a brief excursion into the world of short stories, Fleming returned to a novel. Once again he toyed with the idea for “killing off” Bond in Thunderball. If this was to be Bond’s final adventure, it would be on a grand scale. And it’s truly grand—the atomic weapons could be anywhere in the world, and although we know Largo is the man behind Plan Omega, Bond has no way of knowing. 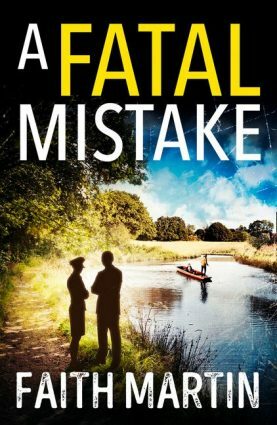 Much of the book is concerned with Bond trying to get enough evidence to take decisive action and not look like a fool back in London. But there is plenty of action, and the final action set-piece is an enormous underwater battle that is tremendously exciting. It’s definitely worth all the build-up. He was certainly satirising the whole health farm craze early in the novel. This section is uproariously funny, as James Bond must make his way through the horrors of the Shrublands health clinic with nothing but tea (and the occasional girl) to sustain him. The funniest part might very well be that the cure actually works -- until Plan Omega is thrown into action and Bond completely abandons his new health regime to help save the world. These scenes are genuinely funny and could easily have been written in modern day. 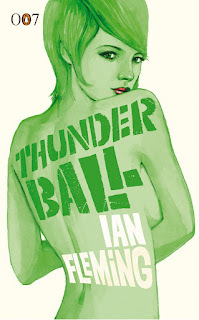 As much as I like the novel, I don’t consider Thunderball a personal favourite. It’s got plenty of good elements and makes for a terrific read, but Blofeld doesn’t come across as much of a threat. This is because he’s constantly downplayed In favour of Largo, and Largo is taken care of by the end of the novel. Blofeld would be made far more menacing in the second installment of the “Blofeld Trilogy”, On Her Majesty’s Secret Service. Thunderball is a highly entertaining, light read. The action is terrific. Fleming’s sense of humour is also great. It’s a worthy introduction to SPECTRE, which goes off limping into a corner at the end of the novel but will return to bite Bond in the derrière. And it’s just fun to read, which is far more than can be said for the next Bond novel, The Spy Who Loved Me. But more on that next time. 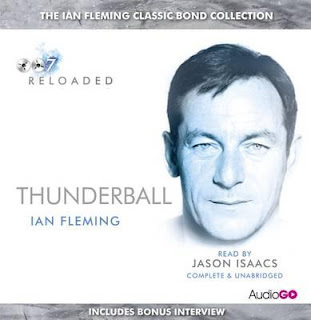 Notes on the audiobook: Jason Isaacs read Thunderball, and he did a perfectly acceptable job. It’s not the most brilliant recording in the series, but it’s plenty of fun to listen to. Isaacs seems to enjoy reading it, and that conveys itself in the recording. In the post-audiobook interview, Isaacs admitted that he’d never read any of the Bond books before, and that doesn’t come across as much of a surprise. The best recordings in this series tend to come from people who have already read the book and thus know the story, and they really get into it when they revisit it. (Toby Stephens and Hugh Quarshie come to mind, and sort-of David Tennant.) This is in the same class as the recording of Live and Let Die by Rory Kinnear: a perfectly good recording, but when other recordings in this series are downright brilliant, it makes “perfectly good” seem dull by comparison. I recently watched the wonderful documentary "Everything or Nothing" which chronicled Bond's history from the conception of the novel "Casino Royale" to "Skyfall." 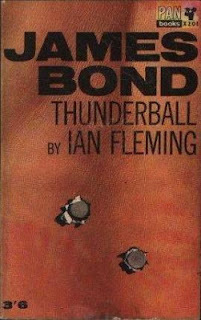 It went quite in depth on the "Thunderball" scandal, and it certainly makes for an interesting chapter in Bond's legacy. 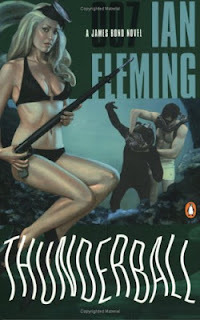 I have sadly never read "Thunderball" (it, like "Goldfinger" is one of the two I really ought to get around to). 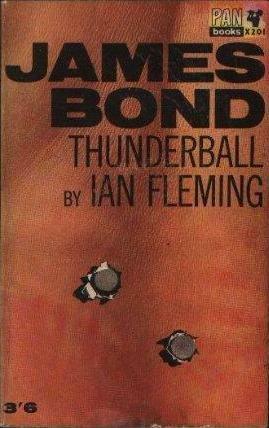 Nonetheless, "Thunderball" is one of my favourite Bond films. Sean Connery by far delivers his greatest performance as Bond, and everything about it just feels epic (it is in my opinion the first true epic Bond film). Oh...and it does have one of the greatest pre-title sequences in the franchise's history. It's worth reading this book. The opening alone is often hilarious, and the adventure that ensues is on an appropriately epic scale. I'd probably read this one and then GOLDFINGER if I was in your situation -- GOLDFINGER strikes me as the perfect way to say goodbye to 007. A very fair review Patrick - as a novel I think it passes muster but it certainly in the second rank of Bond adventures while THUNDERBALL the movie always struck me as by far the weakest of the 60s films - bloated, lethargic, often silly and certainly lacking in wit, just coasting along on the wave of the success of the franchise (he doesn't even say "Bond, James Bond" in it!). The original theme sonf was going to be "Mr Kiss kiss, Bang Bang" sung by Dionne Warwick but was junked at the very last minute (because it didn't have "Thunderball" in the lyrics). On the DVD (and Blu-ray) you can watch the title with the original song on an alternate audio track and it is much more impressive in my opinion. Shirley Bassey sang a version, and the song itself is impressive... but Bassey's vocals are not. She kept singing "Mr. Kiss Kiss Ban Ban" and you can *really* tell. It was one of her lesser recordings, and when the folks behind the music decided to scrap it from the movie altogether (not even as the closing credits song), Bassey got pretty upset and thanks to the legalese from both sides, she wouldn't do another Bond song until "Diamonds are Forever". (I think "Moonraker" is my favourite of her performances, though. She sure has an impressive voice!!!) So in the end, the THUNDERBALL music would end up being just as involved in legal issues as the script itself. PS Congratulation on serving your 200,000th satisfied customer! It's all very nutritious here without an ounce of fat. Thanks for the link to the video! I agree, this version is much better than the Bassey version. Patrick, while we're on the conversation of Bond films, I'd just like to make one small recommendation to you. When you have the chance, you should look into Sinclair McKay's "The Man with the Golden Touch." It is a fantastic book which analyzes all of the Bond films (through "Quantum of Solace"). It is a bit opinionated in place, but certainly worth a read. Fair warning though, it is not per say a *production history* though. This is a book written by a Bond fan looking at the films from the perspective of a Bond fan. I'm sure there are dozens of other books which chronicle the production of the series. So, "The Man with the Golden Touch" comes highly recommended from me. I looked it up, but the Kindle price is truly outrageous, so I think I'll pass unless I come across it in a library.